The Indian assessment on the recent Kartarpur ceremony has been summed up by a journalist who has visited Pakistan over decades. In his opinion, Pakistan Prime Minister Imran Khan’s intentions are unclear and don’t matter. This would be correct if we read only the politics behind the ceremony and ignore the muscle power behind Khan’s utterances for peace with India. But, when assessing Pakistan’s political intentions, the muscle power and the views of the institution that wields it — the Pakistan Army — matters. There is little argument that the present dispensation in Pakistan is unique. Imran Khan, truth be told, owes and holds his office at the pleasure of his army chief, General Qamar Javed Bajwa. Now, it was Bajwa who — in the presence of his supposed boss, Imran Khan — first broke the news on the Kartarpur corridor to the Indian minister, Navjot Singh Sidhu, which led to the hug between the two. The pertinent issue was that Bajwa took that initiative because he wants peace with India. Instead of thinking deeply on this development, New Delhi and its mostly jingoistic media threw a fit on why Sidhu hugged the enemy who is directly responsible for terrorism in India. There are several reasons why Bajwa wants peace with India. One, he is under Chinese pressure to do so; two, he wants to show the world, especially the US in order to recover the blocked aid of USD three billion — that India is the spoiler; three, he agrees with his government’s main concern that trade should be Pakistan’s priority when its economy is in doldrums; four, he has assessed that he would be negotiating with India from a position of military strength; and five, he is on top of the Kashmir situation. He has unambiguously conveyed to India that nothing short of talks on Kashmir resolution (alongside other irritants) would get the peace process moving. The time for confidence-building measures is long gone. Instead of reckoning the brutal reality staring in the face, India has stuck to its known position. What if Bajwa was to stop terrorism in the hope that India would start talks (on Kashmir)? This would be akin to a big trophy for Prime Minister Narendra Modi even before his political fate is tested in the 2019 General Elections. The Modi government would go to town claiming that Pakistan Army was worried about another surgical strike. Once Modi gets the trump card for his political win, why would he talk Kashmir with Pakistan? Moreover, halting terrorism at this crucial juncture — when home-grown terrorists far outnumbered the Pakistan-exported ones — would not go down well with the people of Kashmir. Incensed by Indian high-handedness and with no political hope, Kashmiris have become defiant. For Pakistan to not support their cause at this moment would amount to hara-kiri. The Pakistan Army chief wants to follow the format of 2004-2007: bilateral talks (then back-channel talks between Manmohan Singh and Musharraf governments) and spigot to terrorism to be coterminous. On Kashmir imbroglio being essential for Pakistan Army’s existence, it seems India has missed much on Pakistan’s risen geopolitical stature. To put this into perceptive, look at the organisational structure of the Pakistan Army. 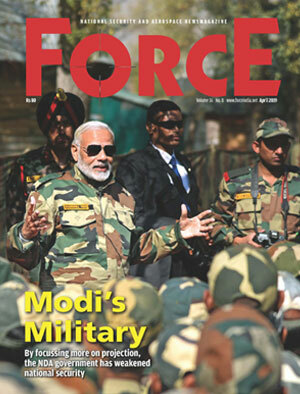 It has four verticals which converge at the office of the chief of army staff. The irregular warfare or terrorism is led by the DG ISI; the conventional warfare is the responsibility of the chief of general staff through the DGMO; the director general, strategic plans division is responsible for all aspects of Pakistan’s nuclear weapons; and the army chief himself works in close collaboration with the foreign office in order to further its proactive (muscular) foreign policy. Given this, if Kashmir gets resolved under Pakistan Army’s direct watch through its appointed Prime Minister, General Headquarters would gain domestically by finally closing the outstanding core issue of the Partition. Unfortunately, India is not seized of the truth that its 1998 nuclear tests helped the Pakistan Army enormously. With complete control of the ultimate weapon of power, it no longer needs the Kashmir issue for either its survival or its progression. The nukes give it the authority to (a) direct Pakistan’s foreign policy and (b) to project Pakistan as the leader of the Muslim world. China, to be sure, had announced the China-Pakistan Economic Corridor as the flagship of its ambitious Belt and Road Initiative predicated on the assurances of Rawalpindi and not Islamabad. Coming back to the Kartarpur ceremony, Khan, fully backed by Bajwa, has done his bit. Knowing well that the Modi government would not start talks anytime soon, he has announced his decision to wait out India’s impending General Elections. The hope in Pakistan would be that the Modi government should not come back. It is another matter that Rawalpindi would still win — the deteriorating political situation within Kashmir; the tightening geo-strategic noose of China; the diminishing capabilities of the Indian armed forces; and the grown geopolitical clout of the General Headquarters do not augur well for India. Pakistan understands all this. This is why the hand of peace by Pakistan is for its own geopolitical benefit, whether or not Modi government returns to power.